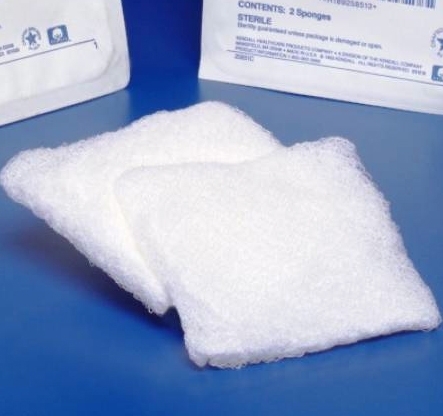 Kerlix™ Super Sponges are a superior primary dressing designed to transfer exudate away from wound into secondary dressing to reduce the risk of maceration. They are absorbent and virtually lint-free making them ideal for pro-op prepping and cleansing, debriding, and packing. KerlixTM Super Sponges are prewashed, fluff-dried woven gauze with a crinkle weave pattern and a diamond fold construction. This provides superior loft, bulk and high absorbency. They have overlapping edges to prevent pressure points while bandaging. KerlixTM Super Sponges have been tested and have been proven to be hypoallergenic. the order was sent promptly and I am satisfied.